Welcome to an unparalleled real estate experience. I am Committed to excellence in my service to you, Passionate about helping you achieve your goals and being your advocate, and pledge to treat your Trust like gold to earn your business for life. 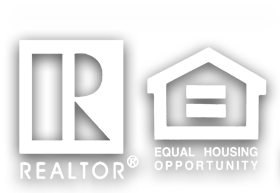 Start searching for homes today, or sign up for neighborhood news to stay on top of market trends in your zip codes of interest, download buyer/seller guides, or crunch numbers using the financial calculators! Contact me anytime for a no-obligation meeting to discuss your real estate needs, whether you need help determining the best area to live in, plan a session to achieve your real estate goals, sell your home, obtain a market comparison report to evaluate your home's value, and more! What a stressful process buying a home can be! Thankfully our family met Caroline through a friend so we had some faith that she would be a great choice. We were so lucky to have Caroline agree to help us find our home! She is a kind, considerate, understanding person who can efficiently and knowledgeably guide you through the process. She will fight for you when it’s smart to fight, and fall back when it’s not worth it. I get it’s hard to trust someone you don’t know, but if you’ve read this far, then maybe you’ll be willing to just give her one chance to impress you. That’s all she will need to impress you, just call her and talk to her. You’ll see! Caroline's involvement and love of our community is just a part of what makes her the best at what she does! An overdue thank you Caroline to express my heartfelt appreciation for helping me and my son find our new home. Your sincere willingness to help us your kindness, knowledge and patience made this process less stressful. It was also so comforting to know that you were looking out for our best interest. I couldn't have done it without all your help! Sell your house with Caroline Abkar. She's very thorough and very helpful. Thank you for everything you have done for us, Caroline. We really appreciate it. You are such a nice person. Caroline is the best! She spent countless hours researching houses she felt met our needs/ desires, showed us 40-50 houses and oversaw the buying process until escrow was closed. Caroline was always professional, knowledgeable and pleasant. We closed escrow over a month ago and I feel we would still be looking if not for her. Caroline truly cares about her clients/ families and is deserving of 10+ stars. I am still in awe by how amazing Caroline is. She made it all look so easy. She truly made this whole home buying process 100x easier and took all the stress out of it. THANK YOU! – Jade T. & Ben N.
Caroline is the most amazing Realtor! We feel so lucky to have randomly met her (or maybe not random at all, thank you fate!) at an open house. She had such a gentle demeanor that we instantly gravitated to her. She followed up by email after we met and offered to help us navigate the incredibly daunting Bay Park/Bay Ho housing market. We knew it would be tough finding a house that was remodeled and in our price point in the neighborhood of our dreams. Caroline kept us confident and positive, preparing us for every step of the way. She treated us like close friends instead of clients and we truly felt like she was an advocate for our best interests. Over the course of two months we visited house after house, eventually submitting an offer on a home that had stiff competition. We came in second place but were shocked that we even came that close. But we are so glad that we did, because a few weeks later we found an amazing home in Bay Park that was beautiful and in our price range. Caroline went above and beyond to make sure we got our offer accepted out of 20 other offers and then became our biggest advocate throughout the escrow process. She even negotiated a $5k seller credit and $7k reduction in home price. We are so lucky and thankful to have Caroline as our Realtor! I couldn’t have asked for a better experience during a stressful and important process. We love our new home and we owe it all to Caroline. I have had the chance to work with Caroline Abkar on several different occasions and she has proven herself invaluable in every one. Her ability to find and do exactly what you need speaks volumes to her dedication and her attention to detail. Her professionalism and communication skills clearly separate her from others, as well as her ability to understand and manage complex needs and deliver with quality and consistently exceed expectations. My wife and I just bought in Bay Park in the past year. Can’t say enough good things about Caroline Abkar. Super helpful, great listener, tireless worker and advocate, and really patient with us. Feel free to ask for my contact details if you have any questions. Caroline is amazing! She helped us sell our old house and buy our new house at the same time, which was a lot of work, and she handled everything with ease and the utmost professionalism. She was extremely helpful and responsive, and addressed any concerns we had right away. We would definitely recommend her to everyone. Caroline and our families paths crossed through a random comment on a FB page. From the moment I met her I knew she could absolutely provide us with excellent service, and without a doubt she did just that. Caroline went above and beyond on how responsive and organized she was at all times. She was instrumental in making sure deadlines were met and inspections scheduled promptly and that all our concerns were addressed without delay. She does this all with such care and compassion for her clients and how crazy this whole process is, always checking in and asking "how are you doing?" to make sure we are hanging in there. Getting your house ready to sell and looking for a new house while pregnant was quit an ordeal and we couldn't say enough good things about Caroline and her work ethics, professionalism and compassion. Thank you Caroline for all the time you gave us throughout the whole process. Caroline is an exceptional RE agent. She patiently and diligently worked with us for almost a year before we finally found our home. She was excellent during our home search, the negotiating process, and throughout the escrow period. She is highly knowledgeable, hard working, extremely organized and an excellent communicator. She dealt very well with the sellers agent and our loan officer, which I believe played a crucial role in successfully getting our home to close. Even after closing, she has stayed in touch with us and provided incredible support and assistance in working through some new home buyer challenges that we've had. She far exceeded my expectations, and I couldn't recommend her more highly. Through his long, challenging process she has become more than just our agent, but also our friend. She truly cares about her clients. We are so grateful to have met Caroline at an open house in San Diego. She was extremely helpful in the purchase of our Dream Home in San Diego, CA and the sale of two of our rentals in Murrieta, CA. She is the BEST realtor, going above and beyond and should receive 10 stars. She kept us informed throughout the whole process of buying and selling. And to top it all off, she was very instrumental in the planning and having our Housewarming. I can’t thank her enough and would definitely have her help us in the future. When I first met Caroline, I explained to her how picky my husband and I were going to be. We knew what we wanted (a home by the beach), and knew we probably couldn't afford it. Caroline worked with us for 9 + months and not one day did she make us feel like our dream was out of reach. Instead, she put in the time and energy to help us achieve our dream, and after all that hard work, we achieved our goal! What impressed me the most about Caroline is how much she genuinely cares about the happiness of her clients. She has outstanding communication skills and takes pride in providing top notch customer service. She was super accessible and she always made us feel like we were her only clients. She was consistently looking out for our best interests. After her talented negotiating skills, we were able to get our home for $15k under asking price! Even after we moved in, she continued to help us sort through some new home owner issues. I cannot say enough good things about working with Caroline, and I highly recommend her to anyone!